The UK multiple grocery industry is in great shape for summer, after the Easter break and Royal wedding weekend inspired retailers to buff up their offerings to attract consumers to spend more. And there’s another Bank Holiday to look forward to, on Monday 30th. So on that positive note, welcome to the May issue of The Grocery Trader, the publication dedicated to the multiple grocers, and available in print and digital format. You can find many of the articles and all the interviews here on our web site www.grocerytrader.co.uk which now enjoys over 2,000 unique visitors a day. A supermarket’s muscles are its supply chain, and just like an athlete’s body they must stay toned up to turn in winning performances. In our ‘The Warehouse’ feature we take our quarterly look at warehousing and logistics, with plenty of ideas for your next investment in this key area. 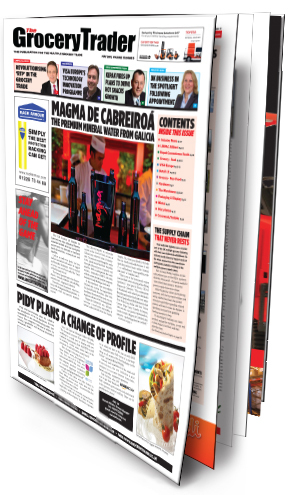 Also in this issue we have exclusive interviews with Visa Europe, LINPAC Allibert and Kepak Convenience Foods, three major companies helping the UK’s multiple grocers transform an aspect of their operations. Part of our Warehouse feature, LINPAC Allibert’s innovative plastic Returnable Transit Packaging products have transformed best practice in retail materials handling, from the Omega bread crate to the Maxinest foldable tray for handling products in automated systems. After a decade of outstanding success Kepak Convenience Foods are looking to take their bestselling Rustlers, recently rebranded Zugo’s Deli Café and other hot snacks to new heights of popularity here and in Europe and double their turnover in five years. Visa Europe led the way with Chip and Pin, and then with their guidelines for PCI DSS Compliance, relating to the security of card holder data, as we reported last year. Now, as our article explains, Visa Europe has just introduced the Technology Innovation Programme, giving retailers and other merchants a further level of confidence about EMV payment card security. There’s innovation going on in all corners of the grocery industry, as we report in this issue. Last month saw the third ‘Free From’ awards, presented by Anthony Worrall-Thompson. We have a story with details of all the winners and finalists and also a piece about Dove Farms, whose Gluten Free Self Raising flour was Overall Winner. Soft drinks are at the heart of summer. 2011 is set to be a big summer for AG Barr’s flagship brand Irn Bru, which has been quietly getting on with growing its sales throughout the UK. Read our story about Irn Bru’s latest TV campaign, ‘Grab the Great Taste,’ bubbling with the quirky, down to earth humour that helps give the brand its unique character, transcending soft drink fashions and staying cool without really trying.